The optic nerve is a bundle of more than 1 million nerve fibers that carry visual messages. You have one connecting the back of each eye (your retina) to your brain. Damage to an optic nerve can cause vision loss. The type of vision loss and how severe it is depends on where the damage occurs. It may affect one or both eyes. Glaucoma is a group of diseases that are the leading cause of blindness in the United States. Glaucoma usually happens when the fluid pressure inside the eyes slowly rises and damages the optic nerve. Optic neuritis is an inflammation of the optic nerve. Causes include infections and immune-related illnesses such as multiple sclerosis. Sometimes the cause is unknown. Optic nerve atrophy is damage to the optic nerve. Causes include poor blood flow to the eye, disease, trauma, or exposure to toxic substances. Contact your health care provider if you are having vision problems. Tests for optic nerve disorders may include eye exams, ophthalmoscopy (an examination of the back of your eye), and imaging tests. Treatment depends on which disorder that you have. 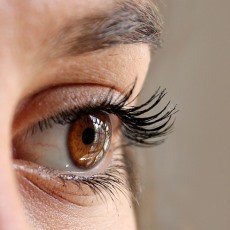 With some optic nerve disorders, you may get your vision back. With others, there is no treatment, or treatment may only prevent further vision loss.